Enliven the senses of your guests. Built by American industrialist Henry Clay Frick and first opened in 1917, The Union Trust Building was purchased by Boston-based developer The Davis Companies in 2014. The developers, in conjunction with Elkus Manfredi Architects worked to reposition the iconic Pittsburgh Landmark to attract new corporate tenants and usher in “the second century of extraordinary.” The illustrious bones of the building—luxurious Flemish-Gothic design, circular rotunda, marble hallways, and intricate brass railings—were restored, new furniture and carpets were installed, and amenities were added. The Davis Companies asked Boston Art to develop an art program that paid homage to the history of the building and emphasized the city’s creative, youthful energy. Our art consultant immersed herself in 100 years of Pittsburgh history, as well as the city’s contemporary art scene, to commission a multi-media collection that was as accessible to the building’s future occupants as it was emblematic of the pride in place with which the building was erected. Each piece was meticulously designed to be carefully installed into the building’s original terra cotta walls without disrupting any original elements. Distance was no obstacle for Boston Art. Our art consultant used several site visits to expertly measure the dimensions of the space and assess each key area for potential artwork locations. 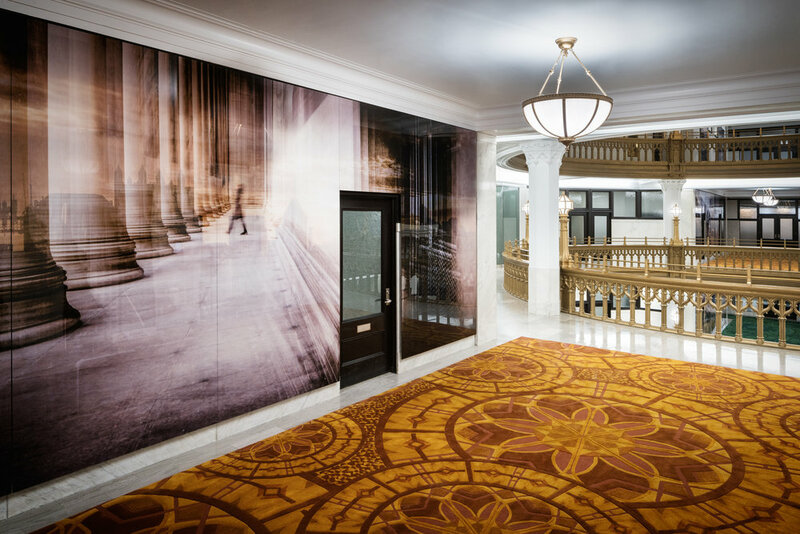 A local Pittsburghian photographer was selected to photograph hundreds of street scenes in Pittsburgh and digitally collage them into ten monumental floor-to-ceiling murals. Comments on the progression of these artworks, and the other paintings and sculpture being produced across the East Coast, were discussed and reviewed digitally at periodic progress meetings. 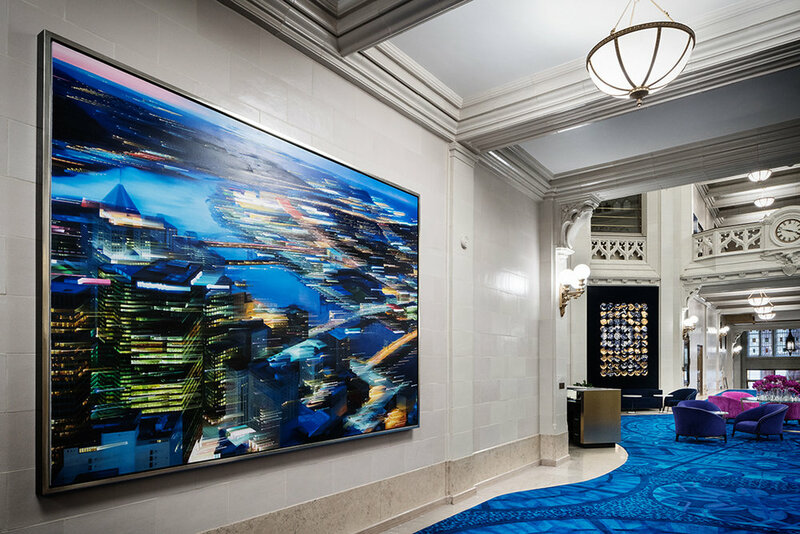 Boston Art worked seamlessly with the on-site construction management team to coordinate the transport, delivery, and installation of the artwork, which included dozens of 10’ tall reflective acrylic panels. The American Architecture Prize winner in Architecture Design/Restoration & Renovation 2017.